When it comes to delivering a steady supply of mobile games, few put in more work than Gameloft, and not only does the publisher release a varied mix of different titles, but it is also admirably unafraid of competing with some of the industry’s classics. 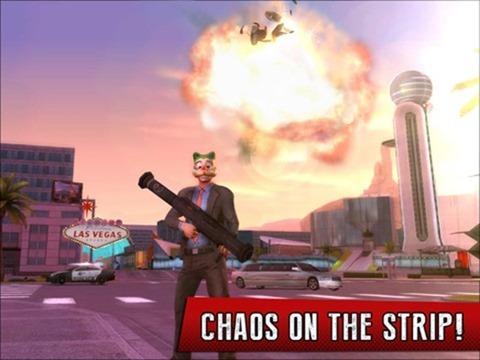 The Gangstar series, for example, is a pretty obvious clone of Grand Theft Auto in that it copies just about every theme from Rockstar Games’ most famous outlet, and today, Gameloft has just dropped Gangstar: Vegas over at Apple’s App Store. 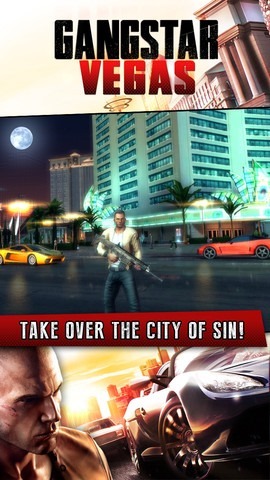 If you’ve ever played a Grand Theft Auto for iOS game and enjoyed it, you’ll likely also get your kicks from Gangstar. 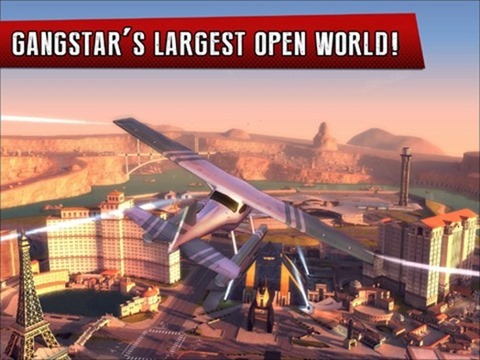 While it’s certainly not as good as the real thing, it’s a pretty solid emulation, and Gangstar Vegas builds on the relative success of the previous releases to Apple’s iOS device range. In a sense, it’s more of the same from Gameloft, but that’s not necessarily a bad thing. When you purchase these kinds of titles, what you see is essentially what you get, and while the visuals now look a lot sharper than ever, it actually feels quite a bit smoother and slicker in-play. At $6.99, it’s not cheap, although for the countless hours you get to drive around numerous types of vehicles, causing mayhem and less frequently, actually completing the missions, it’s probably worth it. What should probably more of a concern to prospective downloads, perhaps, is the amount of space it will take up once installed. The download package is 1.4GB, and once the game has actually landed on your device, it will command a very hefty 2.6GB. Thus, if you’re rocking an 8GB or even a 16GB device, you might have to give this one a miss. Still, if you’ve had about as much nostalgia on Vice City as you can tolerate and are looking for a fresh dose of vigilante madness, definitely give it a shot. Also, the Android version will be out soon, we will let you know when it is! As a gentle push, check out the trailer below, and if you do happen to grab the game, be sure to leave your comments and thoughts with us.